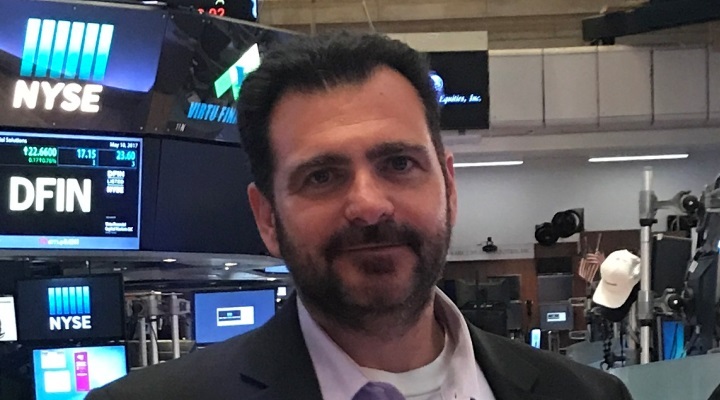 Michael Zammuto is the founder and CEO of Cloud Commerce Consulting. He is a veteran of many internet and software startups and growth companies and has had 5 successful exits. This makes him a valued advisor to entrepreneurs, boards, and CEOs of growing technology firms. Cloud Commerce Consulting assists companies with transformative organizational changes including transitions from startup to fast growth phase, leadership or operations transformation or implementing an automation strategy with AI-based technologies. In addition to CEO, Zammuto serves as the company’s most senior consultant and leads the artificial intelligence R&D efforts. His firm has practice areas devoted to technology strategy, particularly around artificial intelligence and automation technologies and advisory, fundraising, and marketing services. Zammuto also writes for CIO.com and Business.com. previously was CEO of Brand.com and Sapago and was COO of ChaCha.com, Chaikin Analytics, and Ontario Systems. Zammuto has held several board and interim leadership roles. Sapago was an early innovator in IoT (internet of things) technology and their retail systems provided touch-screen kiosks, mobile interactive multimedia devices and sensor-driven product sales tools years before QR Codes and Smart Phones. While a senior manager at Microsoft’s product development headquarters in Redmond Washington, Zammuto led a team of project managers that delivered all of Microsoft’s identity, workflow, SOA, web services, business process and integration technologies. This included BizTalk Server, Windows Communication Foundation, Windows Workflow Foundation, Windows Active Directory, Host Integration Server and important parts of Windows, .NET, SQL Server, and Microsoft Office. He also helped deliver the first generation of BPEL, RFID and .NET workflow foundations. I started my career working for small software startups. I coded for a while and then did project management before focusing more on operations, sales and marketing leadership roles. My real job was to drive growth and that is a major source of job satisfaction for me. I get bored easily, so I need lots of change. I was a young CEO and worked several startup and growth companies and had some great exits and instructive failures too. I found I can offer unique value as a transformation agent. Several companies have been with we radically overhauled the operating model. I have been critical in helping 8 companies achieve their first ever profits or return to profitability. I have built sales and marketing models from scratch for 6 companies and have helped several raise significant round of growth capital. Cloud Commerce Consulting is a small firm, so I spend little time on traditional management and spend most of my time on highly innovative and transformative projects which really keeps me engaged and motivated. Cloud Commerce Consulting magnifies and focuses the efforts of change agents within our clients’ organizations. The covers four critical areas technology, operations, leadership and sales & marketing. First, technology. Here our practice centers on various aspects of “artificial intelligence,” data and analytics which we consider the cornerstones of the new automation revolution and are essential to company success. The AI practice seeks to make a client’s systems learning and adaptive so that covers everything from machine learning and natural language generation to virtual agents and adaptive commerce. Second is operations which is critical to company execution. Rapidly changing organizations require all new operational approaches. With visionary, product-focused and sales focused founders, this is often an area they need help with. We can develop and align operations and even replace an operating model and assure alignment with the strategy. Third is leadership. I advise CEOs and boards but also serve periodically in interim CEO, COO or CTO roles. Here it is about filling a gap or affecting a significant organizational transformation. I started consulting myself from my house, so the books would say that it was profitable right away. It took longer for it to replace my income I was making as a CEO/COO for other people’s companies. That is a pretty scary move to make and it is hard for a lot of executives to walk away from six-figure comp packages to funding your own company. Like all businesses, we have pivoted a bit periodically to take advantage of changes in the market and opportunity. We stay focused on high-level benefits for the clients like growth and scale and market position. Those benefits are universal to business leaders. How we get them there may change but those are just tactics. Several of my first customers were companies were I previously served as an executive. No reference or referral is as powerful as working with people that already respect you. People who do well together and are compatible will look to work together again. I keep my client base small but have an extremely high retention rate. Ours is an idea business. So, I write a lot. Most recently I have been writing for CIO.com and Business.com. Writing allows you to connect with people in a highly targeted way and to demonstrate you have specific solutions and value for the prospective client. I am also very active on Twitter and reasonable active on LinkedIn. I have done some online content marketing too. I have started several sales and marketing departments for clients the last few years. Most have been extremely successful and doubled sales or better for clients quickly. I spent half of this year building out a small, inside sales B2B program for a client. It was moderately successful but was really being limited by realities of a market that they were still learning. I plowed too much time and resources into scaling it and wasn’t getting the return that I or the client needed so we finally mutually agreed to end that one. It is an important client, so I stuck with it longer than I should have. I have been critical to saving a few businesses. One was a turnaround of a larger, older firm and the others were startups under 7 years of age. The startups had never made a profit and were not growing fast enough (or at all) to allow them to keep raising money to fund ongoing losses. When you make a company profitable you give it a second chance. I have noticed patterns in product-driven founders that can make them extremely good at innovating and pivoting to find markets but then sometimes unable to fully switch gears to execution and scale to take advantage of those markets. ‘A’ players have a lot of trouble switching away from what behaviors worked for them in the past. The management and teams own their destiny at that point and that feels good. Automation technologies – I use AI as an umbrella term but am focused on machine learning, virtual agents, chatbots, speech recognition, natural language generation and decision management. The winners of every future industry will be those that master one or more of these. Amazon is the blueprint for future business. They master data and technology and then can be a disruptor in everything from books to online marketplaces to groceries to content streaming. Everyone should read Professor Behnam Tabrizi’s “Rapid Transformation: A 90-day Plan for Fast and Effective Change.” It talks how to use internal groups to rapidly break down an organizations strategy and rebuild it. It is a great developmental tool and it is how I drive organizational change. I got to work with Dr. Tabrizi at Ontario Systems and he is an amazing thinker. It is not one thing, but I focused on integrating my phone with my laptop and that has paid off. I added a Launcher software to my phone, upgraded my company cloud and added Microsoft Office apps and Google Docs to my phone and it has helped me react faster. I use my laptop less frequently and can do much more on my phone.